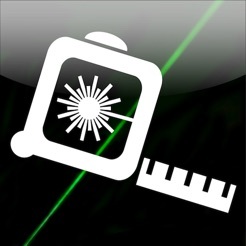 Laser Hazard Distance is an easy to use laser safety calculator that can be used to help determine the safe viewing distance for direct exposure to visible laser beams. The light created by a laser beam is far more concentrated than other forms of light, and if viewed directly can be harmful to eyesight. The energy in a laser beam however becomes less harmful the further along the beam the light travels, eventually reaching a point where the risk is low. Laser Hazard Distance can be used to help determine this distance which is known as the Nominal Ocular Hazard Distance (NOHD). 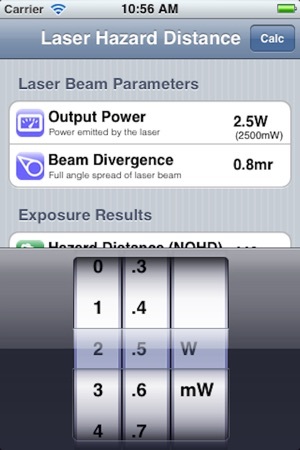 The user enters parameters for the output of laser beam and its natural spread (divergence). 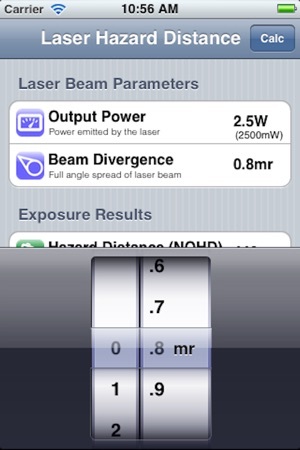 Laser Hazard Distance then reports the distance (in metres and feet) that the NOHD occurs. It also reports the spot size the laser beam expands to at this point. 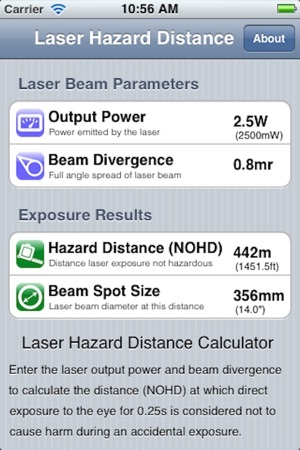 The laser safety software uses exposure limit data from the two internationally accepted laser safety standards, IEC 60825-1:2007 and ANSI Z136.1-2007, to calculate the hazard distance for a 0.25s accidental exposure to a visible laser beam (400nm to 700nm). 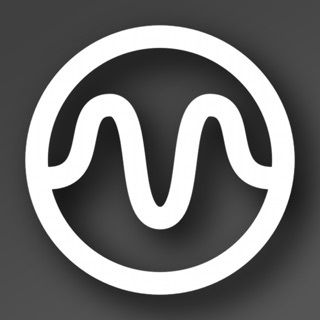 Laser Hazard Distance may only be used for visible lasers (400nm to 700nm), NOT lasers emitting invisible laser radiation. Important Safety Note: Direct exposure to laser light can be harmful to eyesight and normally care should be taken to avoid doing so, especially if the user has little experience in assessing the risk. Laser Hazard Distance is provided as tool to aid those competent in assessing laser exposure risk, and should be used alongside other assessment methodologies, not as a substitute. 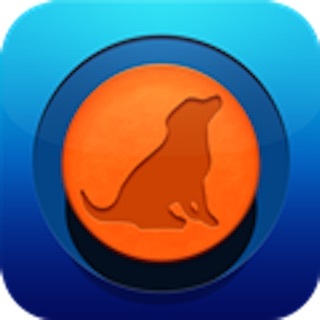 I used this app to show a colleague just how dangerous their cheap laser pointer bought on the Internet really is !